That's how Jim Tilley feels, but he's not leaving it at that. He's up and fighting to see that all British ex-pats living in Australia understand the legalities of the UK state age pension. As the spokesperson for British Pensions in Australia [BPiA], he wants every person who has paid into compulsory national insurance contributions when working in the UK, to have the same pension rights as any other British citizen - living in the country or not. He aims to change the laws that freeze the UK age pension payment to Australian ex-pats from their year of relocation. He believes that regardless of location, people who paid into the British system should be entitled to the same annual yearly increases as any other British citizens. The British overseas residents pension situation has anomalies, which BPiA are seriously challenging. 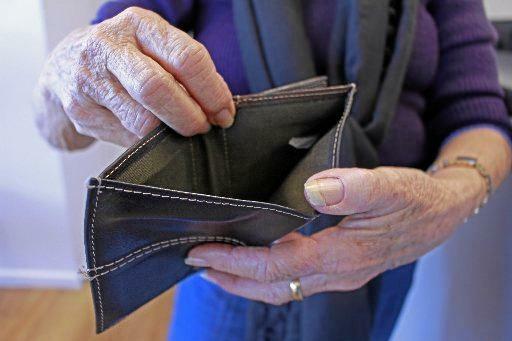 Firstly, according to the BPiA, the UK pensions are up-rated annually for citizens living in the USA, Israel, the EU, the Philippines, Turkey etc, but they are not uprated in 48 of the 53 Commonwealth nations. Indeed when Mr Tilley put pen to paper, he was scathing of the system that is allowing the current pension scheme to continue. "Freezing pensions of British ex-pats is an example of blatant miserly British Government discrimination from a nation which believes in and promotes itself as being fair minded, respecting equality, sound ethics and moral behaviour," he wrote. Mr Tilley said there are many reasons people leave their country, but it's not usually for a grand holiday, moreover it's often to support their family in other countries, and it is likely they have paid a lifetime of taxes into the British system. The BPiA has recently been supported by stage and screen actor Miriam Margolyes, who is no less scandalised and warns that the policy "plunges the most vulnerable into poverty". The BPiA are there to support anyone who finds interested in finding out about their eligibility for the the UK age pension. For help, either phone 1300 308353 or visit www.bpia.org.au and in return for a small annual membership sub, they will give you their help. Late 1940s: UK state pensions were first payable abroad. At the same time the UK began negotiating reciprocal agreements on a country by country basis. 1980s: The government stopped signing new agreements and the situations has not changed since. Iceland, Lichtenstein, Norway, United States. There are about 90 counties (many in the Commonwealth) including Australia, Canada, New Zealand, India and Pakistan.